Step through the front doors of this meticulously maintained home and you instantly feel at ease. The open living room and dining room lead into the updated kitchen with movable island, granite counters and custom cabinets. There is a full bedroom and bath downstairs. The step down family room has a gas fireplace and custom mantel. Head out the sliding glass door to an inviting rear yard perfect for year round entertaining with deck, sunken hot tub, fire pit, grass area and mature trees. Upstairs you will find the master bedroom with retreat/sitting area and beautiful remodeled bathroom with large open shower. 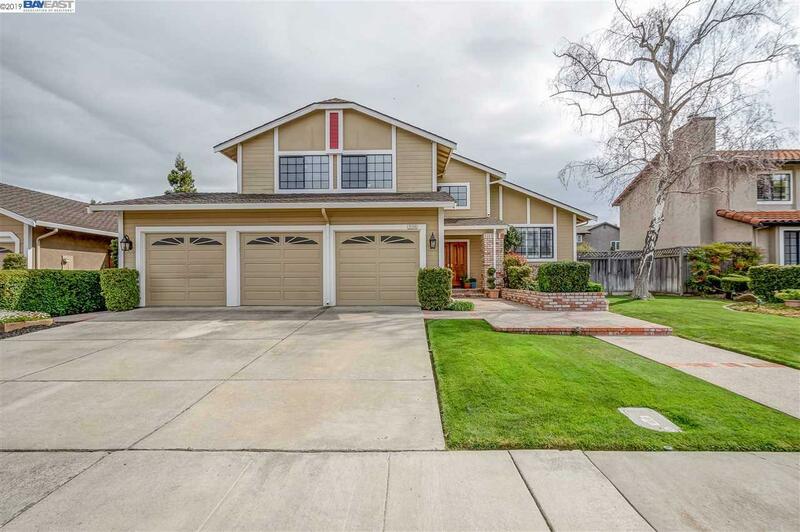 Two additional guest bedrooms, plenty of storage, three car garage and steps to the Pleasanton Sports Park make this home a must have.